The fragmentation of α lamellae and the subsequent spheroidization of α laths, in α/β titanium alloys, are well known phenomena, occurring during and after deformation. We will illustrate the development of a new finite element methodology to model these phenomena. 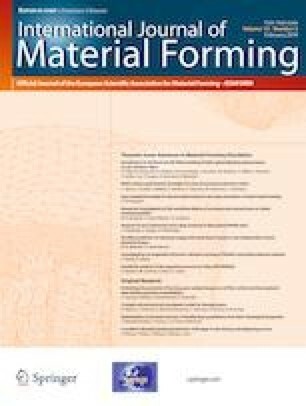 This new methodology is based on a level set framework modeling the deformation and the ad hoc concurrent or subsequent interfaces kinetics. In the current paper, we will focus on the modeling of the surface diffusion at the α/β phase interfaces and the motion by mean curvature at the α/α grain interfaces. The authors would like gratefully to thank AUBERT & DUVAL, CEA, TIMET and SAFRAN for funding this research through the SPATIALES project of the DIGIMU consortium.